The Editorial Board: For the past several decades, the United States and its allies have worked on the assumption that China, if engaged in trade and other ties with the West, would gravitate toward a more democratic government. It’s not an unreasonable assumption. South Korea, for example, once had an autocratic government and has since moved to free elections. China, it seems, is going in the opposite direction. Chinese President Xi Jinping has been consolidating power since taking office in 2012. 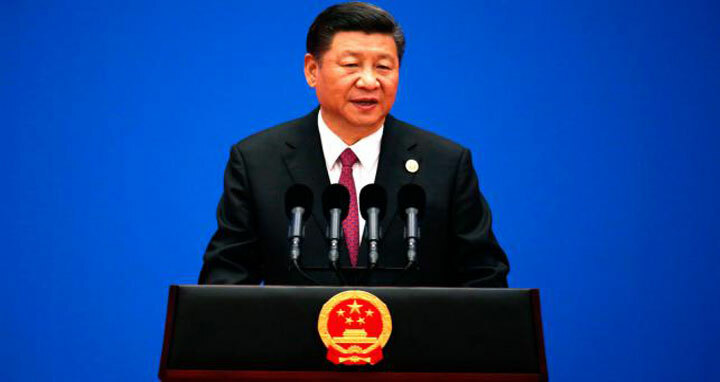 On Sunday, the National People's Congress is expected to vote to give him the right to remain in office indefinitely, overturning a 35-year-old constitutional rule that has limited presidents to two five-year terms. This is not good news for the United States. China has grown big and powerful enough to export its competing model of authoritarian capitalism. Indeed, it is pressuring Australian universities over the way China is presented in classes. It also has grand plans for military bases as far away as Africa. The end of presidential term limits won’t be good for China, either. Whatever stability comes from allowing Xi to say on beyond 2023 will likely be offset by the uncertainty of what happens when he is gone. Xi might well have decided he can get away with such an audacious power grab at a time when President Trump is simultaneously undermining the United States’ influence in the world and embracing autocratic rulers. Referring to the prospect of Xi becoming president for life, Trump said: “I think it’s great." Then he joked: "Maybe we’ll have to give that a shot (in the USA) some day.” Ha ha. A reevaluation of U.S.-China relations doesn't have to mean a new Cold War, or heavy-handed protectionism such as Trump’s steel and aluminum tariffs. But a modestly more confrontational and considered approach might be in order. Such an approach could include stiffer pushback against China's military expansionism and its state-owned, state-subsidized industries. It could also include a reconsideration of global trade agreements that don't distinguish between democratic and non-democratic nations. At the very least, the United States should pursue more bilateral and regional trade agreements with democratic nations. Proposed deals such as the Trans-Pacific Partnership, which Trump torpedoed, and the Transatlantic Trade and Investment Partnership would be places to start. The more that China finds itself on the outside of trade zones looking in, the more pressure it will feel to reform. At least so far, Xi, 64, does not fit the model of a modern dictator. He is an engineer by training and a technocrat by profession. He does not favor radicalism. Indeed, he and his family suffered greatly during the Cultural Revolution in the 1960s. What’s more, some people think he is a benign force who will make the tough decisions needed to continue China’s modernization. But leaders for life have a way of becoming corrupt and unaccountable. Internal commentary about Xi’s push to exempt himself from term limits, which were imposed after the excesses of the Mao Zedong era, has been censored. The episode is further confirmation that China's government is growing less democratic. It's time for world leaders to base policy on that reality, not on false hopes of what China might one day become.